It’s that time again! 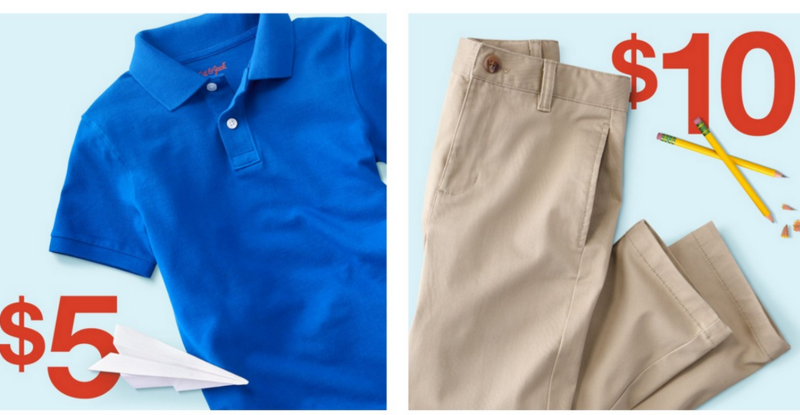 Target is offering some fun discounts on school uniforms to help you save on Back to School shopping, with savings both in-store and online. Grab polos for $5, pants for $10 or shoes starting at $12. Even better, all Cat & Jack clothing including uniforms are guaranteed to last one whole year. If they don’t last, you can get a 100% refund or exchange with your receipt! Offer valid through 7/14. Shipping is free with Redcard.